Ex-Bernie Madoff employee Dan Bonventre testified that he had no knowledge that the firm where he worked for 40 years was a front for a massive Ponzi Scheme. Bernard Madoff's ex-operations chief Dan Bonventre testified in federal court Tuesday that he had no knowledge that the firm where he worked for 40 years was a front for a massive Ponzi scheme. Bonventre is one of five ex-Madoff employees charged with aiding Madoff in running his multi-billion dollar scheme by allegedly forging documents, and lying to investors and federal investigators. They have all pleaded not guilty to fraud charges. Bonventre has been on trial along with this ex-colleagues Joann Crupi, Annette Bongiorno, Jerome O'Hara and George Perez since October in U.S. District Court in the Southern District of New York. 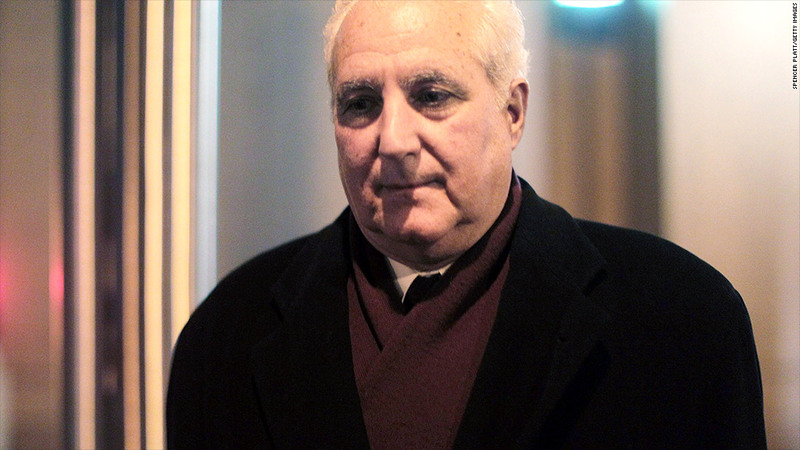 Bonventre testified that he was as fooled by Madoff as any of his victims. "[Madoff] is extremely intelligent," Bonventre said. "He built a broker-dealer business that rivaled the stock exchange. He seemed to have the respect of the entire world. He always seemed to have the right answers." But he wasn't easy to work for. Madoff could be "cruel" in his mockery of underlings for their height, weight, hair or clothes, Bonventre said. Bonventre started as a 22-year-old clerk with Madoff in 1968 and worked his way up to a leadership position, making $1.3 million a year. But Madoff joked that he wasn't worth the money "when he found out that I was deaf in one ear," he said. He also yelled at his staff "at the drop of a hat," said Bonventre. "He often said that he was surrounded by idiots and assassins, that their stupidity was killing him." But he also said that Madoff could at other times seem "magnanimous" and "caring" about his employees, often helping their family members get special treatment for health problems. He said he now realizes that Madoff's generosity was a "manipulation." "There was no generosity. None of that was real," Bonventre said. "Now I think [Madoff] was a terribly ill man. It's difficult to reconcile everything I knew about him for 40 years with everything I know now. I don't think I'll ever figure it out, even if I live to be 100." Another former colleague, Frank DiPascali, Jr., pleaded guilty and served as star witness for the government, providing details of the fraudulent firm's machinations. "We were lying," DiPascali said on the stand. "I'm talking about trades that ... actually didn't exist." While Madoff has provided conflicting dates as to when his scheme began, DiPascali, Jr. said that financial misdeeds had been going on "for as long as I remember." He started working at the firm in 1975. DiPascali, Jr. is awaiting sentencing and hopes that his testimony will help soften that blow. Bonventre's defense lawyers slammed DiPascali as an unreliable liar whose testimony cannot be trusted. Madoff pleaded guilty in 2009 to orchestrating the largest Ponzi scheme in history, stealing about $20 billion from thousands of victims who thought they were investing with a Wall Street firm. He accumulated multi-million dollar homes in Manhattan as well as Montauk, N.Y., Palm Beach, Fla., and the French Riviera, where he docked his yacht, named "The Bull. The house of cards came falling down when he no longer had enough cash on hand to honor remittances. When he was arrested on Dec. 11, 2008, his scam shook the foundations of Wall Street. Irving Picard, the court-appointed trustee charged with recovering assets stolen by Madoff, and the Department of Justice have so far recovered about $12 billion. About half of that -- nearly $4.9 billion -- has been distributed to Madoff victims. In addition, the Securities Investor Protection Corporation has provided $800 million in insurance to victims. Madoff was sentenced to 150 years and is currently residing at a federal prison in North Carolina.